Today it seems we hear more and more about the impending demise of television. While most pundits are not yet proclaiming “TV is dead!,” but more and more are writing about millennial cord cutting. But what if all of this talk was a big nothing-burger? Let’s take a step back and look a little more objectively at cord cutting. The first question, of course: how many people have given up cable for other sources of entertainment? Probably not as many as you think, despite the flurry of media attention. 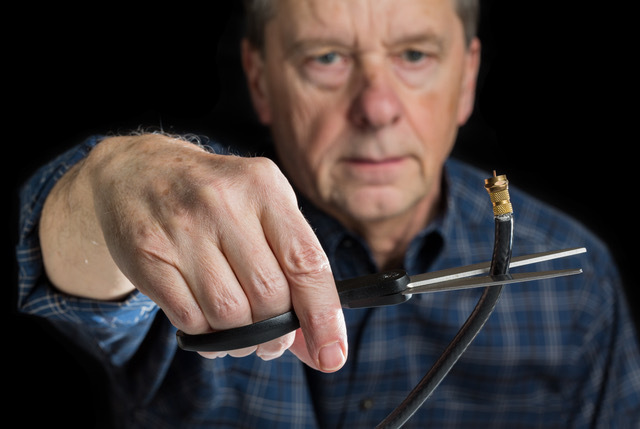 According to a recent study, just over 12% of consumers cut the cord in 2016. Another facet worthy of consideration is the never-cabled consumers, mostly in the millennial generation. By most statistics, upward of 20% of the millennials just skipped cable altogether—but that still leaves a clear majority of the public firmly cabled-up. That being said, TV subscriptions are down. And yes, more and more consumers are receiving their entertainment directly from content providers—think HBO Now and Sling TV. But how do we account for consumers who subscribe to cable for their phones and internet, yet stream their content more than they watch cable? Another question to consider: is it happening worldwide? The answer is a resounding “maybe.” Quite simply, the answer is a little more complicated. In the end, it boils down to economics—according to IHS Markit’s Ben Keen, the US has a larger gap between consumers subscribing to an OTT service and broadband than in other countries. This is the reason, in other words, that U.S. consumers are more likely to subscribe to services like CBS All Access, HBO Now, and Sling TV. In summary, cord cutting is simply less of a reality than the media would like us to believe. Cord cutting, at its core, is a transition from legacy broadcast to IP delivery. So, whether that IP is delivered across the Internet or cable, there will always be a cable of some kind.